A "crazy bird" of painted sheet metal, artist unknown, collected at Positive Images. Why do artists fail to sign their work??? And why do art/craft galleries in this day and age fail to have web pages??? 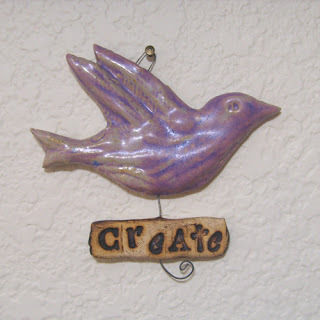 A clay "create" bird for my collection wall by Amy Meya, found at Haven Gallery. 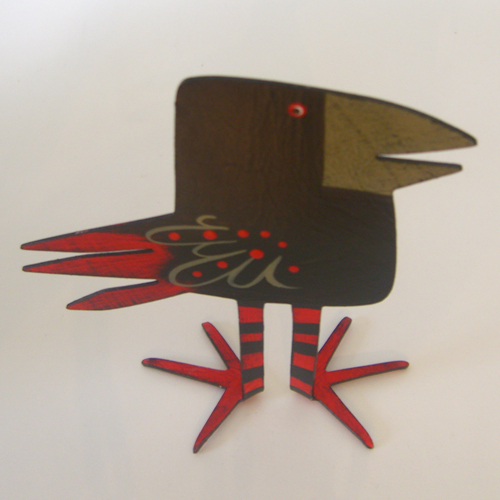 I LOVE the Crazy Bird, very cute!